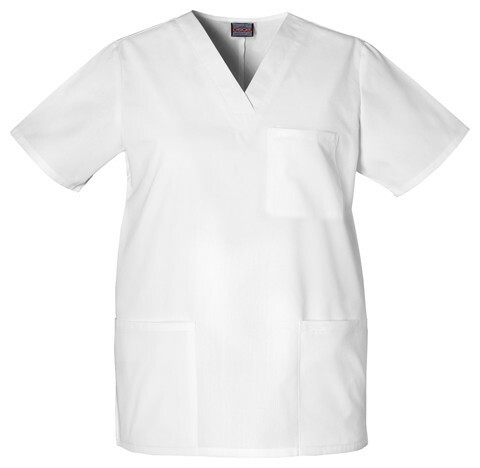 Style # 4876 Unisex Sizes XXS-5XL , White . Unisex Fit. 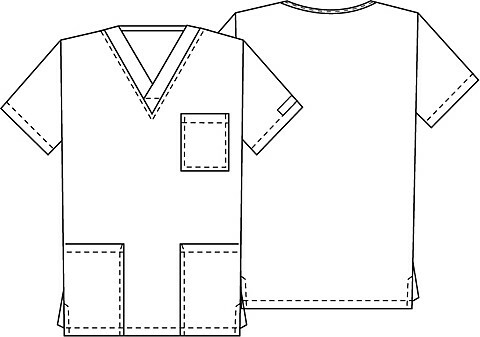 This Unisex V-neck top has one chest pocket and two patch pockets. Side vents. Center back length 29"